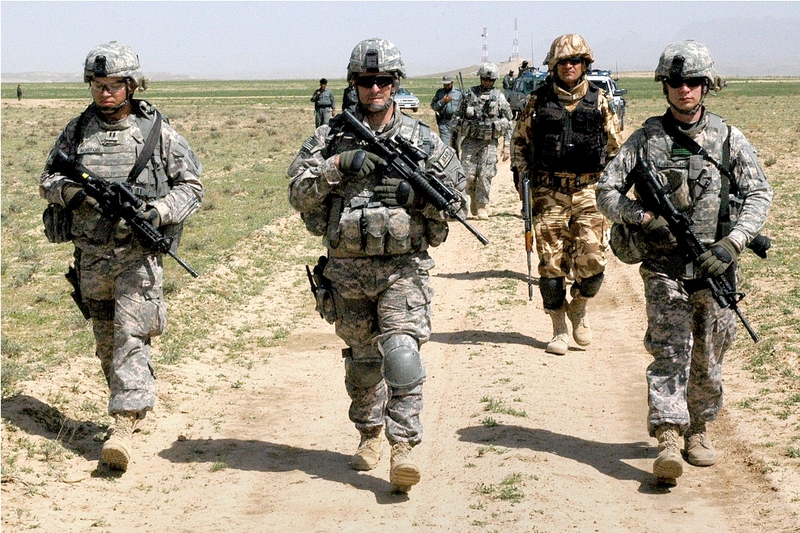 The New York Times reported on the 21st November 2014 that US President Barack Obama has extended the combat role of US troops in Afghanistan for one year after December 2014. Both Governments of Pakistan and Afghanistan welcomed this decision and described the American presence as necessary to keep peace and the continuation of a stable government in Afghanistan. This US decision comes as no surprise to Hizb. Since the US revealed her limited withdrawal plan, we have consistently been saying that this limited withdrawal is a deception and US will use this plan to legitimize and secure a permanent presence in Afghanistan. Therefore, as soon the new puppet government in Kabul ratified the Bilateral Security Pact, the US unveiled her deception of leaving Afghanistan under the so-called limited withdrawal plan. Now, after the lapse of every year the US will extend her presence in the name of establishing peace and to help the Afghan Government. Unsurprisingly, the traitor rulers of Pakistan and Afghanistan will welcome her decision as they have done now. This American decision establishes a fact that even after fighting thirteen years against the Afghan resistance America has not been able to establish peace in Afghanistan. After all this time, the Afghan National Army and Police is not capable of protecting her installed government in Kabul. Mujahideen numbering in the thousands forced this US failure through persistent Jihad and this has forced the US to rely completely on the traitors in the political and military leadership of Pakistan and the few traitors in Afghanistan to continue and secure her presence in Afghanistan. If today the sincere among the armed forces of Pakistan eject these traitors from their ranks and establish Khilafah then Khilafah will combine the power of its military and tribal Muslims by erasing the colonialist Durand line and will easily eject America from this region and restore true peace and stability. It must be understood that peace can only be restored by ejecting America, not by allowing her to stay further. Therefore, it is upon the sincere amongst the armed forces to come forward and provide Nussrah to Hizb ut-Tahrir for the establishment of Khilafah. "تم نہ سستی کرو اور نہ ہی غمگین ہو، تم ہی غالب رہو گے اگر ایمان دار ہو"